To connect any EZTouch & EZText to an AB SLC 5/03, 5/04 or 5/05 CPU with DF-1 port. 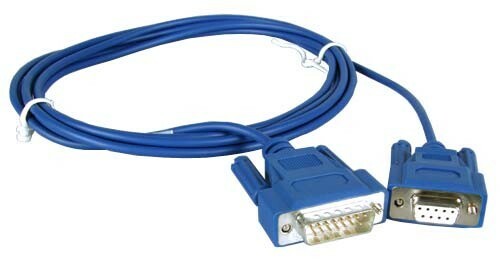 15 pin D-shell male connector to 9 pin D-shell female connector. Excellent products, excellent sales force, excellent technical support, easy to use product.